Suli was found in a haystack in Kansas when she was only a couple weeks old. The couple that found her placed her in a nearby building, assuming her parents would hear her and continue to care for her at the new nest site. What they didn’t know is that vultures don’t have a voicebox and can only hiss and grunt. When Suli’s parents didn’t return, the couple took her to the Milford Nature Center in Junction City, Kansas. 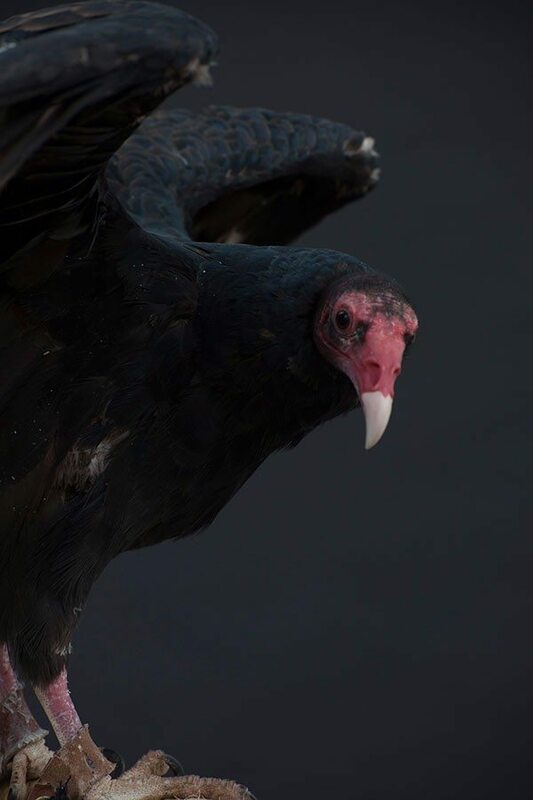 The center did not have an adult turkey vulture to act as a foster parent, so Suli grew up with people. Because of this, she did not gain the critical skills for survival that her parents would have taught her, and she can never be released back into the wild. Named for the Cherokee word for vulture, Suli is very shy when you first meet her. Every person that works with her has to gain her trust before she’s comfortable with them, but once she is, she’s happy to go anywhere with them. 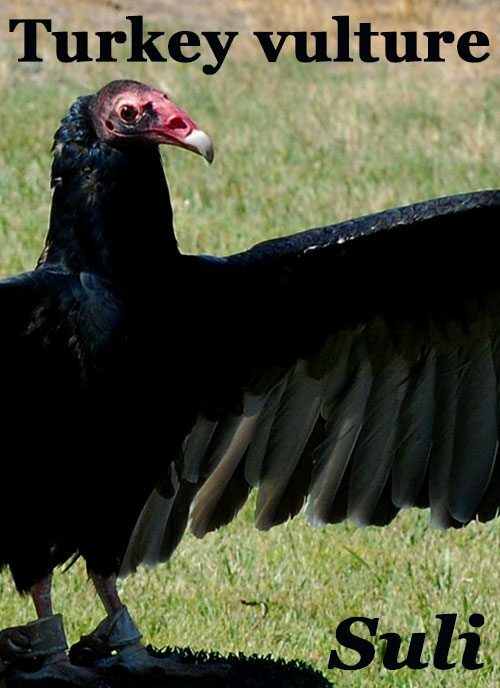 Despite what you may have heard, vultures do have standards when it comes to their food. Even a vulture won’t eat a putrid carcass. They prefer their food relatively fresh. As one of the few birds with a sense of smell, they typically locate their food by scent about a day after it has died—but if it is left out too long, even vultures pass it up! If you’re up for watching Suli eat her dinner, click here for a video! By choosing the Monthly Gift option, you authorize the Buffalo Bill Center of the West to make one charge each month for the donation amount you select to the credit card number you provide below. Thank you for your generosity! If this is a gift, we are happy to mail the adoption package directly to the recipient.